Egyptian President Abdel Fattah Sisi will take part in the BRICS summit in China in early September, the presidential office said Monday in a statement. 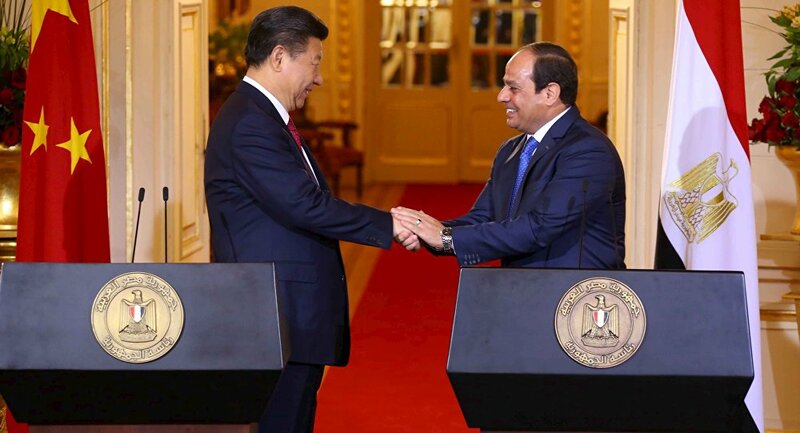 CAIRO (Sputnik) – Sisi was invited to attend the event by his Chinese counterpart Xi Jinping, according to the statement. "China was interested in inviting Egypt to participate in the BRICS summit as it is one of the countries with a promising economy," the statement said. The Egyptian president will also meet with representatives of the Chinese companies that are participating in various projects implemented in Egypt. Following the BRICS summit in China, Sisi will make an official visit to Vietnam. The summit of BRICS states – Brazil, Russia, India, China and South Africa – will be held on September 3-5 in the southeastern Chinese city of Xiamen.